If you are following alone, here's the latest with the deployment dolls. They are getting snow far, far away just like we are here (well....not quite as much) and Daddy decided to make a sled and take Mad & Abs sledding. Complete with hot chocolate and everything. If you want to catch their other adventures go here or here. Erin, these dolls bring a smile to my face and warms my heart. 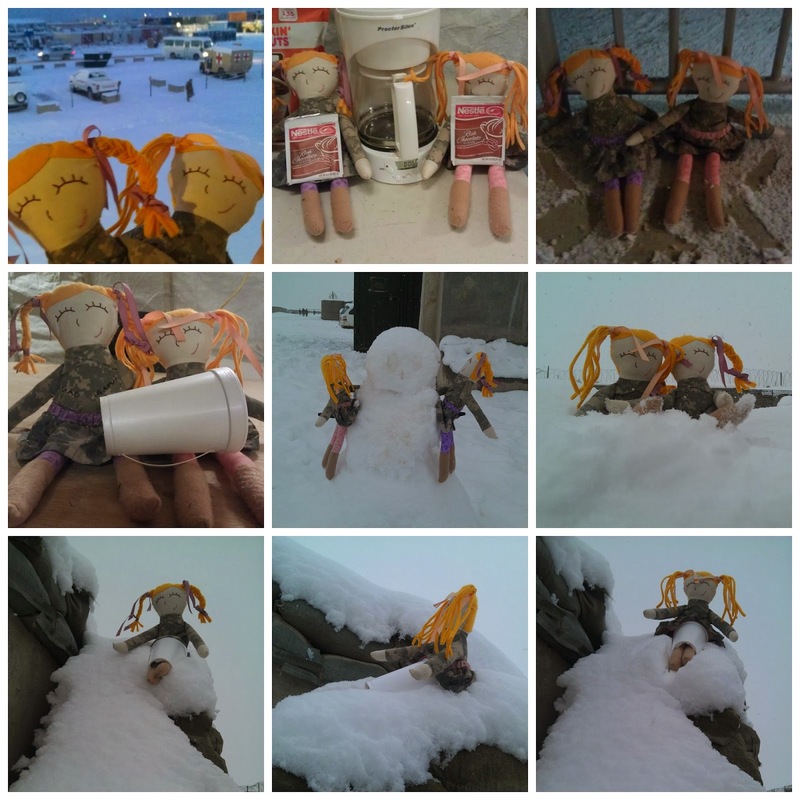 I so love that you made these special dolls and that they are off having an adventure with your husband. It must make the girls so happy to get these updates. I just love this idea so much. Cute and such a great idea.